Malcolm Armstrong revision notes for his students. Quite handy to run through to be reminded what film is about! Originally published in Luciano De Giusti, Luca Giuliani (editors), Il piacere e il disincanto nel cinema di Max Ophuls (Milan: Il Castoro, 2003). Proceedings of Lo sguardo dei maestri, La Cineteca del Friuli, Cec – Udine, Cinemazero – Pordenone, February 2002. Are there any examples of decoupage? This would be a lot easier than trying to work out what it was from a welter of different ideas. 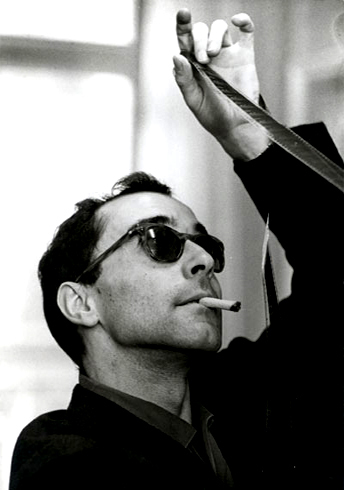 The main thing is that film analysts and theorists see finished films, rarely scripts and certainly not shooting scripts. The decoupage is as indispensable to the cinema as dialogue is to the theater or punctuation is two writing….. This presumably is decoupage technique. Another way of looking at decoupage would be to look for specific mention of decoupagers in credits. The only one I’ve found so far is is for Falbalas or “Paris Frills” (1945). 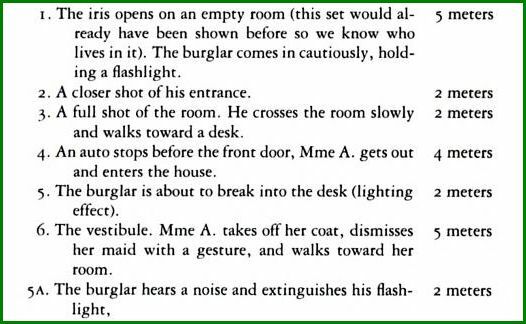 Stages in development of a script, from p. 300. 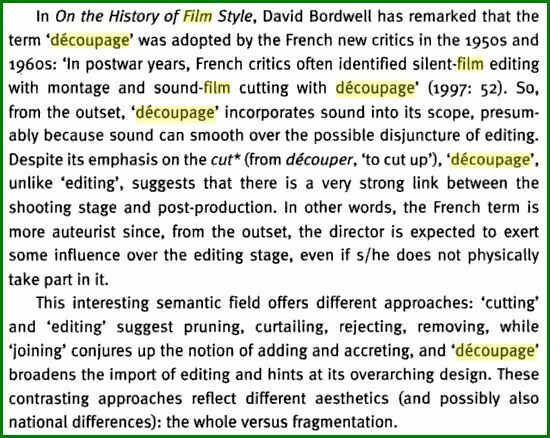 There were [..] five stages listed in script development “manuals”: the synopsis, the traitment, the continuité, the dialogues or continuité dialoguée, and the découpage techniqué. 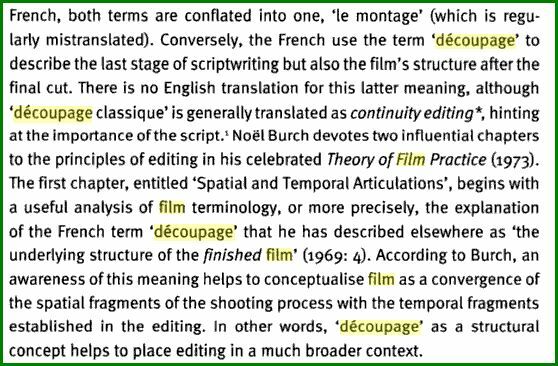 Frequently, mention is made of a prior “stage”, the idée de film, which might be an anecdote noted in a few lines or at most a few pages. This quoting is a bit complicated – p.301 came from a previous search on the GoogleBook. The recent search had p.301 missing. You’ll have to buy the book, sorry. I just did. A Scribd e-version of this book. Searchable with Scribd or browser. Elements of Cinema was designed with young filmmakers and film/video students in mind. Our goal is to provide film knowledge and offer a comprehensive, well-written, easy-to-navigate website that covers many elements of filmmaking, including but not limited to, cinematography, editing, screenwriting, and directing. In our methodology, we break each one of those areas to their bare bones. We focus on the obvious and the obscure tricks of trade. It is a textbook, as he says, and looks like it will be very useful.